In our Main Event the reigning NCW Heavyweight Champion “RIOT” Kellan Thomas must go one on one with his longtime rival “The Maine Event” Scotty Vegas as NCW’s first ever Triple Crown Winner looks to worm his way into the Championship Scramble scheduled for November 28th at WrestleFest X. Complaining to Commissioner Dean “The Beast” Livsley, the Commissioner granted Vegas a match with Thomas at NO FEAR to earn another title opportunity. 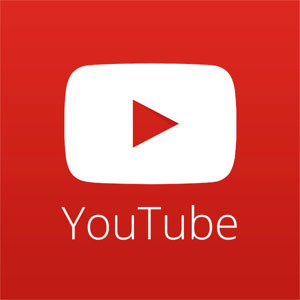 The two guaranteed challengers for Kellan Thomas’ NCW title will also have their hands full October 10th when the Lumberjake and “Simply God’s Best” GA West compete in their own singles matches as they look to gain momentum heading into WrestleFest. Riding high off the heels of his huge win against Ruy Batello at FACE/OFF, Lumberjake goes one on one with a former NCW New England Champion in “Royalty” William King while West hopes to rebound his Iron Man loss by challenging the young up and comer “All Good” Anthony Greene. The NCW Tag Team Champions the Underground Anarchy (“Slamdance” Tim Lennox, “Bam” Brandon Behm, and “Black Magic” Sean Feeney) look to continue their underhanded tag team dominance at NO FEAR when they face the challenge of former Tag Team Champions the Loomis Brothers. Davey and Eddie Loomis have been screwed at every turn by the Anarchy over the last few months, and after getting a shocking pin on David at FACE/OFF, the Champions feel more confident than ever heading into October 10th. 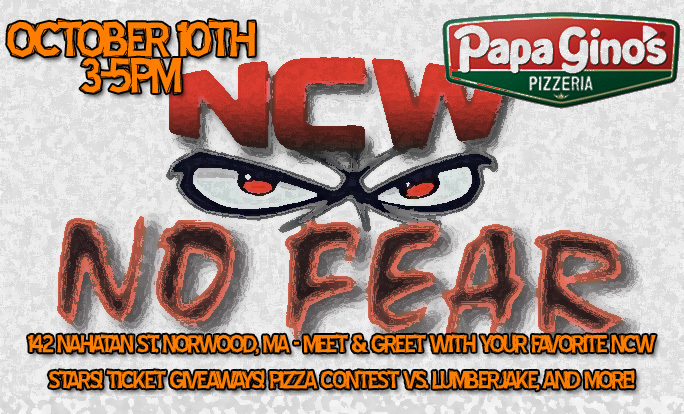 Also appearing in Norwood at NO FEAR will be NCW New England Champion Rob “The Giant” Aruajo, Steve “The Turtle” Weiner, the Heavy Hitters, “Ruthless” Ruy Batello, Deputy Commissioner Richard Pacifico, “The Original Showoff” Mike Paiva, Christian Casanova, “Dastardly” Doug Summers with Ashley Vox, “The Fitness Man” Dan Terry, Buddy Romano, NCW Commissioner Dean “The Beast” Livsley, and many more! 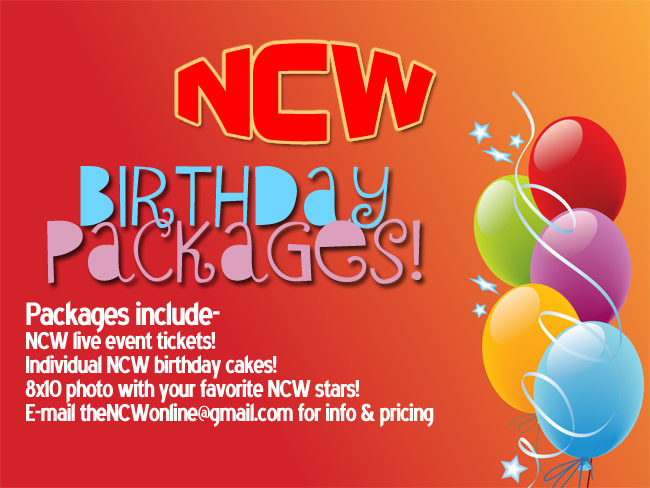 Be sure to join us October 10th from 3-5pm at the Papa Gino’s of Norwood (142 Nahatan Street) where some of our NCW wrestlers will be on hand to hang out, give away NCW tickets, and eat some pizza! 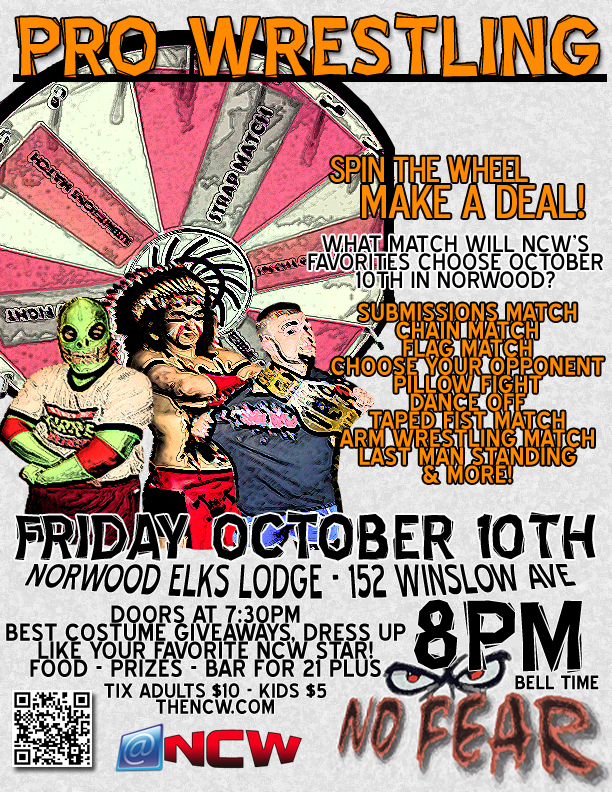 The Elks Lodge is located at 152 Winslow Avenue in Norwood, Massachusetts, for more information on Northeast Championship Wrestling visit us online at theNCW.com and follow us on Twitter @theNCWtweets!